Ways to evaluate real estate trends in particular areas ? My thing is this: I don't really get too excited about the stock market or investing a whole lot and tend to have doubts about the stock market in general. I have doubts about 401Ks as well. So I am wondering if I should consider buying more land ? I have been working and saving money and it is just siting in the bank basically. Is there a good way to evaluate likely trends in real estate prices for various regions ? That way as I look at the land as an investment I can try to gauge will it increase in price, how hard would it be to sell it someday, etc. I currently own a modest house on 1/2 acre in Mass. I own a small camp 200 miles up in central Maine. The camp is a 4 hours drive or so. The area I am thinking about to buy land would be more southern Maine which would be about a 2.5 hour drive. That difference would make it easier to spend more weekends in Maine if I wanted to because my camp is what I consider a long drive. This second property if I were to buy it, I would just park my truck camper there and not put up a structure at least not for many years. There is kind of a early spring and late fall off season when it is warm enough to camp but many campgrounds are closed. There is another time throughout much of the summer when the campgrounds or the better campgrounds are all full or crowded. 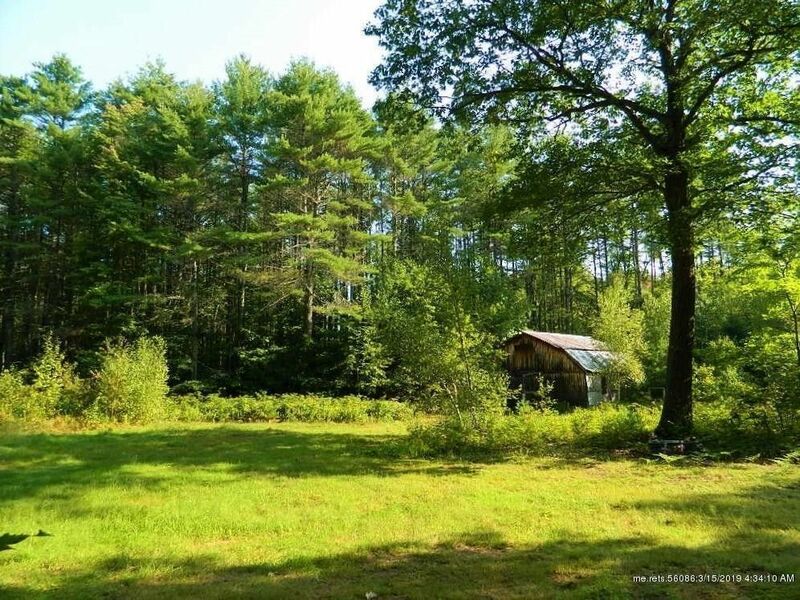 Owning land in southern Maine would make it easier to get out on those weekends or on a holiday weekend when you can't find a campsite. My camp further up in central Maine has a small yurt with a wood stove and is more ideal for year round camping or some winter camping. Southern Maine is closer to beaches, though the area I am thinking of would be 45 minutes or so from the coast. Re: Ways to evaluate real estate trends in particular areas ? Perhaps you should spend some time looking over a period of time, even just to see what is happening price-wise and how long it takes to sell property, etc. If it is something that would be useful to you and you would enjoy, then perhaps buying it would be a good thing. Over the years, my husband and I have bought and sold undeveloped land a few times and generally had good luck with it. However, we did buy 35 acres in Colorado a few years ago and then it took us 3 years to sell it after we decided it was a little too far away for our needs. And, we didn't make any money on the sale... The other times, we have made money on the deal each time. So, it is hard to say. Pick an area to study,watch,and become familiar with and then you will notice good deals and also 'too good to be true' deals ...many adds won't tell you what is wrong with a site and this will bite you . Have a list of questions like "Is this a hazardous material waste dump"? for those too good to be true prospects as few people will sell land for less than market value. BUY QUALITY and expect to hold it for some time as if you NEED TO SELL,you will often loose....you sell when others NEED TO BUY. Getting on good terms with a real estate agent can be a real benefit. I get the discomfort with the stock market but land speculation seems like a much harder way to get a return. There are ways to make money with land. You farm it or mine it. I don't know Maine law but I would assume you'd have to do something to offset property tax or whatever you get hit with over there. People who try to get money out of buying a property generally have a rental property they collect from monthly. There are ETFS you can find that take advantage of lumber or gold mining stocks that offer some solid dividends that would provide some "land exposure". I wish all the best but I think this is one tough row to hoe. Take it from me. I bought a new construction home in 2007. We had saved up 20% to put down, so we avoided PMI. We did everything our parents had done 20-30 years before. 18 months after we closed on the house, the market value had dropped 40%. The good news was I remained employed and the monthly mortgage payment was fixed. So no material affect to my family, but on paper I lost my entire down payment and was underwater double that. Hindsight is 20/20, but if instead I'd rented for 1 year, and then bought after the 2008 crash, I'd have almost triple the equity I have today. My advice, only buy a home if you want to live there... long term. Regarding stocks, I'm not suggesting you put it all on Red-36, but at least put a portion of your money into an index fund or two. If you are that worried about financial markets crashing, your paper money will be in serious trouble anyhow. Buy a REIT if you want real estate investment exposure beyond a house you can actually live in. No muss, no fuss, easy to liquidate, minimal governmental intrusion. At some point I'm probably going to inherit a couple acres of raw land within the Portland, OR city limits, property that my grandfather purchased over 60 years ago. At that time it appeared to be a prime spot for a dream home with great view, but the local government declared it a green zone. Of course .gov expects the owners to keep paying the property taxes on otherwise highly desirable land that is now effectively worthless. Plus you're still liable for damages suffered by trespassers. Southern Maine is not that far however, though not as ideal for any of those reasons but if I had land there and built a small house in 10 years, my guess is that the taxes may be 25% to 70% less, not sure. If I was semi retired, the need to have a computer industry nearby might be less important, there are still some musicians around within an hour or 1.5 hours and the lower taxes would be good for being semi retired. In the meantime I would have a place to camp with my camper and possibly could build a structure for storage so I would have more space to store accumulated stuff. Here's the good news, this can be a largely objective, data-driven decision. In my experience, your biggest financial benefit of owning a home is the mortgage interest deduction. If the property taxes are reasonable in Maine, that seems like it may be a great retirement location for you... in determining where we want to live over the long haul, taxation is a big factor, in my opinion. I'm guessing that the taxes on your property in Boston are very high... perhaps prohibitively so once you are retired, even if you have no mortgage on the property. So, if you are planning to eventually move there, perhaps you would think about it differently. Do you think you would want to purchase an existing home with the plan of eventually living in it after you retire? If so, maybe you would want to rent it out until you are ready to retire? Are you close enough to manage the property and keep maintenance on it (and making sure your renters are taking care of the place)? If you buy unimproved land, you could certainly build a home there later on, after you retire, perhaps? Unimproved land doesn't have the worry that a vacant home would have as far as vandalism/squatters, so maybe that would be a good idea since you aren't really that close to retirement? Maine is cold in the winter but is woodsy and not far from where I grew up. This property is kind of cool (below), I am not seriously looking so far though but maybe I should think about it. Some towns are as little closer to the coast and slightly more accessible as far as driving times. I like doing computer work and would prefer to not fully retire but do some work when I am over 65 but perhaps not work as much ideally. I am not sure how big of a cabin or house I would really need or if a big old barn like they have here would be good for storage etc. ... I like doing computer work and would prefer to not fully retire but do some work when I am over 65 but perhaps not work as much ideally. Since this is something you have in mind... check out internet access in the areas you are investigating... that is one requirement that I have had when we have looked at property. A true off-grid setup isn't really great for me for that very reason. My work, which isn't really location specific (I could do it really anywhere) does require a good internet connection since it is primarily done through the use of websites, online apps, etc. You can get maps of internet access online (my husband has done all this research for us) which tells what is currently available and will also allow you to see how the expansion of services is progressing in the area you are considering.